POCI is set for each September. We have previously extended invitations to Cadillac owners and other beautifully maintained Buicks, Oldsmobiles and of course, Pontiacs. 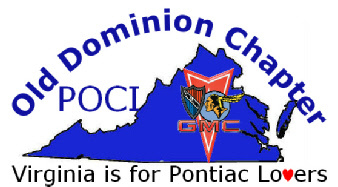 The event is sponsored by, and held at, Hayley Buick GMC Airport at 5500 S. Laburnam in Richmond. Please review all of the Car Show information available on this site or check out the flyer available below. We look forward to seeing you there.